American Comedy Archives Oral Histories - Emerson College, Boston, MA. The collection includes manuscripts, photographs, video and film materials, and an oral history collection. It is the first collection of its kind at an academic institution devoted to exploring the nature of comedy as an American art form and reflects the College's view that examining the history, sociology, and culture of comedy represents an important and underrepresented field of study. American Memory Collection - Enter the site and go to the Collection Finder to search the audio library. Collection includes Omaha Indian music, interviews with American quilters, early sound recordings from Thomas Edison's studios, and vaudeville routines from the 1920s. Archives of American Art: Oral History Interviews - Locations provided to hundreds of interviews related to the American art world and short excerpts from same. California Newsreel - A non-profit documentary production and distribution center for a collection of educational videos on African American life and history, race relations and diversity training, African cinema, media and society, labor studies, and campus life. Founded in 1968. Canadian Oral History Association (COHA) - Formed to help the diverse individuals and groups who express an interest in oral history and to deal with these problems by providing a clearing-house for information and a link among projects underway across Canada. Castro Speech Database - This database includes speeches and interviews by Fidel Castro from 1959 to 1996. All texts are in English. If you would like more recent speeches or texts in Spanish, consult Discursos e Intervenciones de Fidel Castro, which has texts in a variety of languages starting in year 2000. Charles Babbage Institute (CBI): Oral History Program - CBI holds one of the world's largest collections of research-grade oral history interviews relating to the history of computers, software, and networking. Civil Rights Oral History Bibliography, University of Southern Mississippi - This bibliography contains references to civil rights oral history interviews held in Mississippi college and university archives, state archives, county and city libraries, county historical societies, and some independent archives. Columbia Center for Oral History, Columbia University - The oldest and largest organized oral history program in the world. Founded in 1948 by Pulitzer Prize winning historian Allan Nevins, the oral history collection now contains nearly 8,000 taped memoirs, and nearly 1,000,000 pages of transcript. Conversations with History - Distinguished men and women from all over the world talk about their lives and their work, in unedited text and video formats. Guests include diplomats, statesmen, and soldiers; economists and political analysts; scientists and historians; writers and foreign correspondents; activists and artists. Densho - Densho's mission is to preserve the testimonies of Japanese Americans who were unjustly incarcerated during World War II before their memories are extinguished. Eyewitness to History - Historic personal narratives and other first-hand sources from ancient history to the 20th century. Fortunoff Video Archive for Holocaust Testimonies - A ollection of over 4,400 videotaped interviews with witnesses and survivors of the Holocaust. Part of Yale University's department of Manuscripts and Archives, the archive is located at Sterling Memorial Library. Getting Word: African American Families of Monticello - Monticello, the residence of Thomas Jefferson for almost sixty years, was also home to a vital African-American community. This project locates and records the oral histories of the descendants of Monticello's enslaved African-American community. Great American Speeches - Eighty years of political oratory. H-Oralhist - A network for scholars and professionals active in studies related to oral history. Affiliated with the Oral History Association. Historical Voices - Housed at Michigan State University, Historical Voices is working with several partners to build collections, including the Chicago Historical Society; Northwestern University; University of Michigan, Flint; Institut Fondamental d'Afrique Noire (IFAN),Dakar, SN; West African Research Center (WARC), Dakar, SN; University of Capetown, SA; University of the Western Cape, SA; and University of Durban, Westville, SA. History Channel: Famous Speeches and Audio - A large collection of historical recordings. Includes politicians, world leaders, sports figures, and cultural notables. International Oral History Association (IOHA) - Provides a forum for oral historians around the world. Justin Naval Oral History Center - Provides naval, coast guard, and merchant marine stories, biographies, photographs, and documents. Library of American Broadcasting - There are several audio collections in this library, all of which can be accessed by a visit to the University of Maryland. The fees for duplication run about $20 per half hour of tape. There are a handful of vintage radio commercials for immeidate download. Library of Congress Recorded Sound Reference Center - A rich collection of original field recordings of American music and folklore. Memory Project - A venue to share oral histories on the Canadian experience. Mountain Voices - Interviews with over 300 people who live in mountain and highland regions round the world. Allowing people in developing and impoverished regions to offer their personal perspectives. NARA Audio-Visual Records - Search for archival A-V materials held in the National Archives and Records Administration (NARA). National Visionary Leadership Project (NVLP) - Recording, preserving, and distributing through various media, the wisdom of extraordinary African American elders - Visionaries - who have shaped American history. Online Media Collections, University of California, Berkeley - UCB has made available dozens of hours of sound file records at various lectures and events at UCB. you can listen to speeches and lectures by Malcolm X, James Baldwin, Noam Chomsky, Umberto Eco, Michel Foucault, Carlos Fuentes, Aldous Huxley, Alfred L. Kroeber, Claude Lvi-Strauss, Margaret Mead, and Dr. J. Robert Oppenheimer; and poetry readings from Robert Creeley, Robert Frost, Czeslaw Milosz, Robert Hass, Robert Pinsky, Gary Snyder, and Ted Joans. Open Sound New Orleans - A community media project that invites and enables New Orleanians to document their lives in sound. Oral History Association (OHA) - Seeks to bring together all persons interested in oral history as a way of collecting human memories. Oral History Interviews at the Niels Bohr Library - The Center's interviewing has largely been done in connection with projects focussed on particular subjects; therefore the oral history collection is particularly strong in the areas of quantum physics, nuclear physics, modern astrophysics, solid state physics, laser science, modern multi-institutional collaborations in high-energy physics, space science and geophysics, and physicists in industry. The majority of persons interviewed are Americans but many Europeans and some others are included. Oral History Links on the Web - Provided by Bancroft Library, University of California, Berkeley. Oral History of the U.S. House of Representatives - Beginning in 2004, the Office of the Clerk authorized the first oral history program for the U.S. House of Representatives. The program reveals the heritage of House to Members, staff, scholars, and the general public through detailed descriptions of legislative processes and procedures, personal and political anecdotes, and recollections about the evolving nature of the institution. Oral History Primer - Focuses on the interviewing methods and procedures necessary for producing oral history documents of value for future generations. Oral History Society - Dedicated to the collection and preservation of oral history. Also see Journal of the Oral History Society, published twice a year. Oral History Techniques and Procedures - By Stephen E. Everett. A publication of the U.S. Army Center of Military History. Pacifica Radio Archives - The Pacifica Radio Archives Collection of 50,000 plus audio tapes is the oldest collection of public radio programming the United States. The collection includes speeches, public affairs programs, documentaries, musical performances, commentaries and news coverages, some of which dates back as far as the 1950's. Programming formats include: documentaries, interviews, live performances of literary readings, comedy, drama, and music, news, oral histories, panel discussions, reports, speaker platforms, and more recently the radio magazine format. Search archive broadcasts from Pacifica Radio Network. Regional Oral History Office (ROHO) - A research program of the University of California, Berkeley, working within The Bancroft Library. Social Activism Sound Recording Project - A cooperative endeavor developed by radio station KPFA-FM (Berkeley, California), the Pacifica Radio Archives (PRA) Los Angeles, and the UC Berkeley Library. The goal of the project is to make accessible recordings of significant people and events that shaped the politics and culture of the 1960's. The first phase of this project focusses on social activist movements in Berkeley, California, particularly the Free Speech Movement. 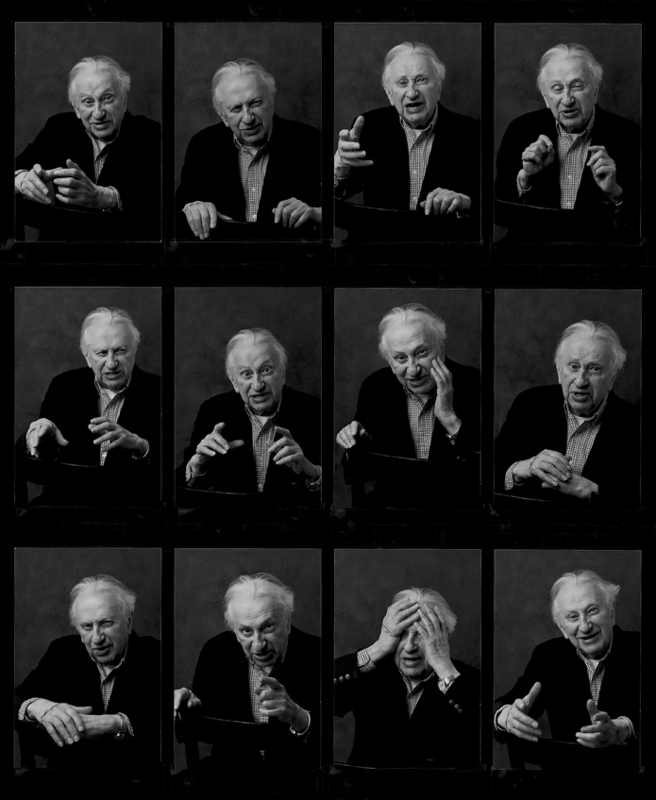 Studs Terkel: Conversations with America - Dedicated to making the works of Studs Terkel accessible to diverse set of users: researchers, students, teachers, and the general public. To this end, resources will continue to be added and developed for the site. The web site forms the newest collection in MATRIX's digital repository, Historical Voices. 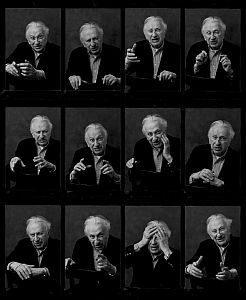 Studs Terkel's work has been highly praised and recognized in the world of arts and letters. He is the recipient of numerous book awards including the Pulitzer Prize for The Good War (1985), the Irita Van Doren Book Award, and two National Book Award nominations. Terkel received the Presidential National Humanities Medal (1999), the National Medal of Humanities (1997), the Illinois Governor's Award for the Arts, the Clarence Darrow Commemorative Award, and he has been cited by the Friends of Literature for his unique contributions to the cultural life of Chicago. His radio programs have been honored with the Prix Italia, three Ohio State Awards, three Major Armstrong Awards, and the George Foster Peabody Award for The Studs Terkel Program (1980). Texas Tech University Oral History Project - The mission of the Oral History Project is to create and preserve a more complete record of the wars in Southeast Asia by preserving, through recorded interviews, the recollections and experiences of the men and women who participated in these wars, as well as those military and civilian personnel involved in activities surrounding the wars on the homefront. The Archive believes that the history of the wars in Southeast Asia is not complete without the inclusion of the voices of the men and women who were involved in the wars. University of California, Berkeley Regional Oral History Office (ROHO) - See featured projects and links to other resources. Vanderbilt Television News Archive - Descriptive summaries and transcripts of TV news broadcasts and special reports from 1968 to present are available for online searching or browsing. Special terrorism section. Duplications of complete broadcasts are available for purchase. Vincent Voice Library at Michigan State University - Largest academic voice library in the nation. The G. Robert Vincent Voice Library is a collection of over 40,000 hours of spoken word recordings, dating back to 1888. The collection includes the voices of over 100,000 persons from all walks of life. Political and cultural leaders and minor players in the human drama are captured and cataloged to serve the research needs of a local, national and international user base. Clients include students and faculty of Michigan State University, other scholars and researchers, broadcasting networks, news agencies and film, video, and Web production companies. Voice of Hibakusha - Eye-witness accounts of the bombing of Hiroshima, from the video Hiroshima Witness produced by Hiroshima Peace Cultural Center and NHK. Voice/Vision Holocaust Survivor Oral History Archive - Since the project began in 1981, Dr. Sid Bolkosky, Professor of History at the University of Michigan-Dearborn, has interviewed nearly 180 survivors of the Nazi Holocaust of the Jews. These testimonies are recorded in over 200 audio and video taped oral interviews for over 650 hours of recorded histories. Web of Stories - Dedicated to collecting the stories of great thinkers and creators of our time. Biologists or filmmakers, physicists or craftsmen, the people whose stories you see on this site are leaders in their field, whose work has influenced and changed our world. Winter Soldier Investigation (1971) - An event sponsored by the Vietnam Veterans Against the War intended to publicize war crimes and atrocities by the United States Armed Forces and their allies in the Vietnam War. The VVAW challenged the morality and conduct of the war by showing the direct relationship between military policies and war crimes in Vietnam. This site provides transcripts of the testimony given in Detroit, Michigan, on January 31, 1971, February 1 and 2, 1971. Also see Wikipedia article. This webpage last updated on Wednesday, January 6, 2016 5:29 PM.